Why Do I Have to Pay to Recycle My TV? People are often interested and even excited to learn that their no-longer-used televisions and monitors can be recycled instead of thrown away to end up in a landfill. But they're less excited when they find out that, unlike most other recyclable scrap which can yield a cash payout, cathode ray tube (CRT) TVs and monitors come with a fee to be recycled. Cohen is driven by a mission to make recycling convenient, safe, and rewarding. We accept CRT TVs and monitors at all of our recycling centers as well as at our annual electronics recycling drives. The fee we charge to recycle them can vary, but you can expect to pay about $0.50-60 (cents) per pound. We encourage you to look around your home and see if you have any other material to bring in at the same time, to help offset this fee. You may also opt to wait to bring it to an e-waste recycling drive, where the fee is often greatly reduced. We acknowledge that this is inconvenient. Collecting this fee allows us to do the right thing, the right way, with these hard-to-recycle devices. 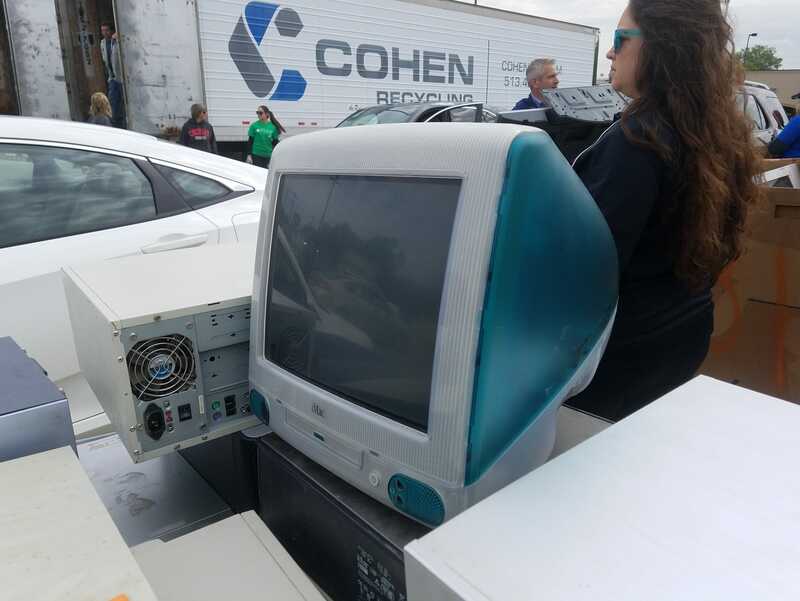 The good news is, they are no longer being manufactured, which means we may see a day before too long when all out-of-service CRTs have been recycled into new products and no longer pose an inconvenience. For questions about recycling your TV and other electronics, please contact your local recycling center. Locations, hours, and phone numbers are listed on our Find a Recycling Center page. Please note that Cohen accepts cash only for TV fees.